Full Specs Revealed for THE BEYOND Blu-ray! 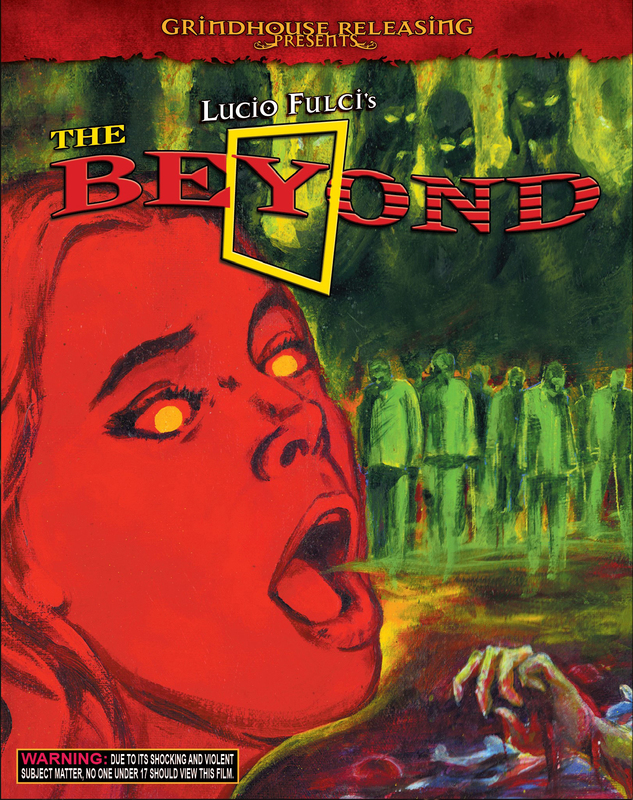 Grindhouse Releasing is proud to announce the full specs for Lucio Fulci’s THE BEYOND Blu-ray, in stores February 10, 2015 and now available for pre-order exclusively at Diabolik DVD! THE BEYOND arrives in a lavish 3-disc set with GLOW-IN-THE-DARK artwork housing two Blu-ray discs and a bonus CD of the classic Fabio Frizzi soundtrack, remastered from the original studio tapes. The release is packed with new bonus features – scroll down for complete details. We are celebrating the long-awaited release of THE BEYOND with a special offer for Lucio Fulci fans: for one week only, Diabolik DVD customers who pre-order THE BEYOND can get our deluxe collector’s edition DVD of Lucio Fulci’s CAT IN THE BRAIN for a special reduced price! Grindhouse Releasing is supporting the home video releases of THE BEYOND with theatrical screenings at select theaters in cities across the United States and Canada. 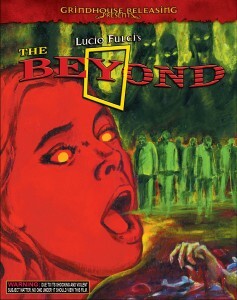 THE BEYOND shows this Friday and Saturday, November 21 & 22 at the Coolidge Corner Theatre in Boston! Visit our SCREENINGS page at GrindhouseReleasing.com for upcoming cities and dates. And on the day the gates of hell are opened, the dead will walk the earth! From legendary Italian horror master Lucio Fulci comes the ultimate classic of supernatural terror. A cursed hotel, built over one of the seven gateways to hell, becomes a malevolent abyss that begins devouring both the bodies and the souls of all who enter in a graphic frenzy of gory crucifixions, brutal chain-whippings, eyeball impalements, sulphuric acid meltdowns, flesh-eating tarantulas, throat-shredding demon dogs and ravenous bloodthirsty zombies. THE BEYOND is a towering achievement in hair-raising, mind-bending cinematic terror! To request a screening at your theater, contact info@grindhousereleasing.com. Stay tuned for complete specs on the February 10 Blu-ray/DVD release of Duke Mitchell’s MASSACRE MAFIA STYLE, only from Grindhouse Releasing!